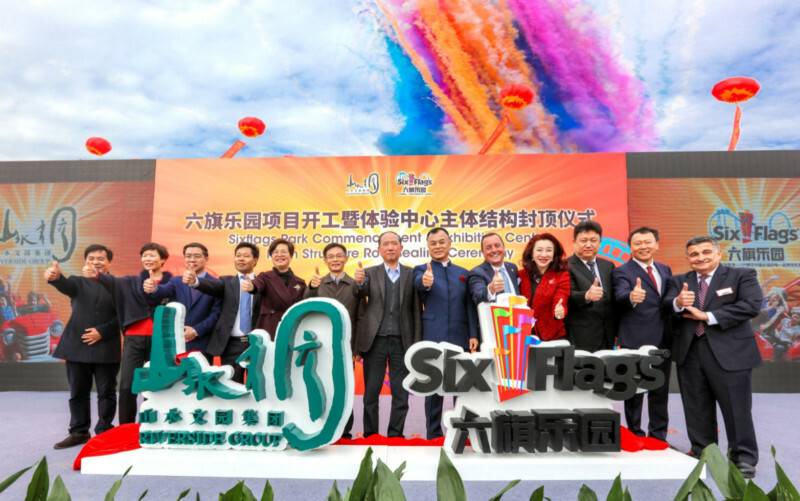 Six Flags Entertainment Corporation and Riverside Investment Group Co. Ltd., an award-winning have announced an agreement to build a new water park adjacent to the first-ever Six Flags-branded theme park in Haiyan China, which is in the province of Zhejiang. Construction is officially underway for Six Flags Zhejiang, the anchor of a 30 billion yuan (USD $4.6 billion) resort development located on the coast of Hangzhou Bay. The theme and water parks are expected to open in 2019. Additionally, Six Flags and Riverside are pleased to announce Mark Kane as the new general manager and park president of Six Flags Zhejiang. Mr. Kane, who previously served as park president for Six Flags Great Adventure and Six Flags New England, will oversee the day-to-day operations of the China property. Mr. Kane is a highly-respected industry veteran with more than 35 years of experience in the theme park and hospitality industry. His many years at Six Flags have included leadership positions at the corporate headquarters and multiple parks. He most recently served as vice president of the specialty restaurant and theme park division of Houston-based Landry’s Inc. where he was responsible for the design, development, and daily operations for the Galveston Island Historic Pleasure Pier, which opened in the seaside tourist area of Galveston, Texas in May of 2012. Six Flags Zhejiang will be home to “some of the most incredible roller coasters, rides and attractions in the world.” The park will also feature elaborately-themed sections celebrating time-honored Chinese traditions, live shows and seasonal events along with a wide variety of culinary offerings and retail locations. Six Flags Hurricane Harbor will feature water slides, a massive wave pool, a relaxing Lazy River and an intricately designed children’s water play area.